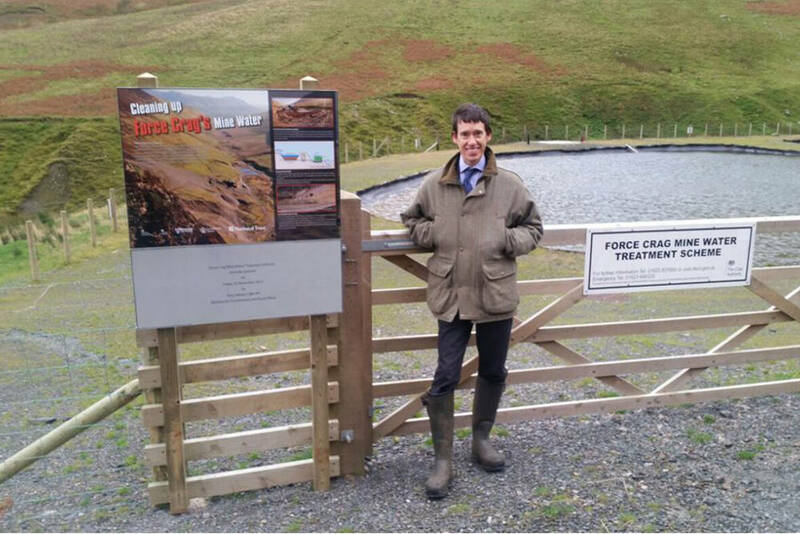 An innovative treatment works using the natural environment to clean metal-rich water from an abandoned mine was recently opened by Water Minister Rory Stewart. Set in the Cumbrian hills near Keswick, the Force Crag mine water treatment scheme will clean up a 6 mile stretch of river, preventing up to a tonne of metals, including zinc, cadmium and lead, from entering Bassenthwaite Lake each year. The scheme has been carefully designed to be consistent with the beautiful surroundings and address this major source of metal pollution. We are delighted with its excellent performance in removing in excess of 95% of the metals from the mine water. The Force Crag Mine was worked for zinc, lead and barytes from 1835 until 1991 and was the last working mine in the Lake District. Read the press release about the official opening of the scheme. Discover more about Force Crag mine water treatment scheme.